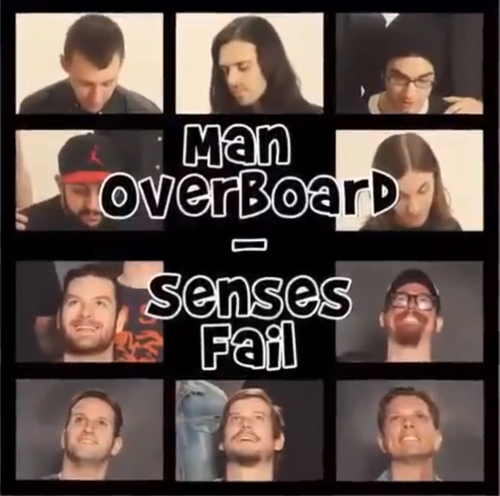 Earlier this month, Man Overboard and Senses Fail announced that they will be putting out a 7″ split EP on March 3 via Pure Noise/Rise. The EP will contain two songs from both bands – one will be a cover of a track by the other band, while the other song will be an original, new track. Senses Fail have previously released their new, original track from the split, entitled “All You Need Is Already Within You,” which will be serving as a b-side track for their upcoming record, Pull The Thorns From Your Heart, due out some time this summer via Pure Noise. Similarly, Man Overboard have recently released their original track entitled “One Fixed Point.” You can check that out here. In addition to all this, you can now check out Man Overboard’s cover of Senses Fail’s “Cute When You Scream” below. Let us know what you think. Pre-orders for the split EP are still available here. In case you haven’t heard, both bands will also be appearing on Bayside’s 15-year anniversary tour this spring. You can find out more here.